Product #21976 | SKU S6HSGY-374 | 0.0 (no ratings yet) Thanks for your rating! The black and gunmetal HESH 2.0 Headphones from Skullcandy deliver powerful bass and detailed audio quality for playing music on-the-go, or at home. 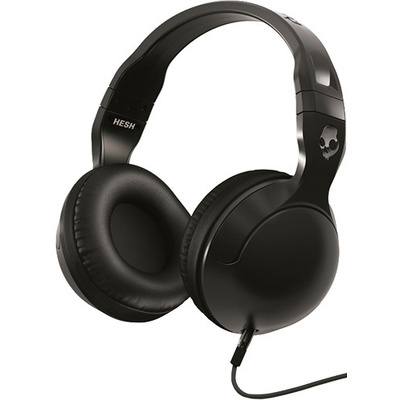 These stylish over-ear headphones feature 50mm Mylar drivers for high audio output. The earcups are padded for maximum comfort and the cable features a 1/8" (3.5mm) mini connection, with an in-line microphone and remote for taking calls from your mobile devices.